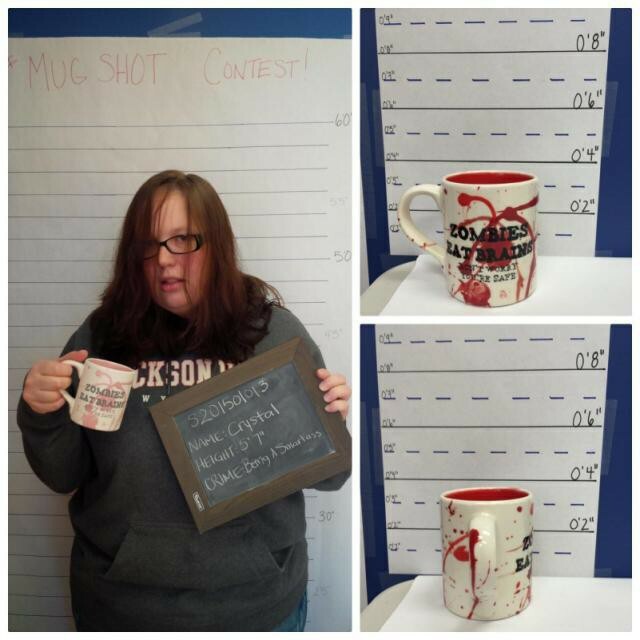 January 2018 is bringing back our popular MUGSHOT Contest! Come in during the month of January to paint a mug, get your “mugshot” taken and enter! All mugshots will be posted to our Facebook page during the second week of February for voting. The mugshot with the most “likes” at the end of the week will receive a PRISM Studio Gift Certificate!